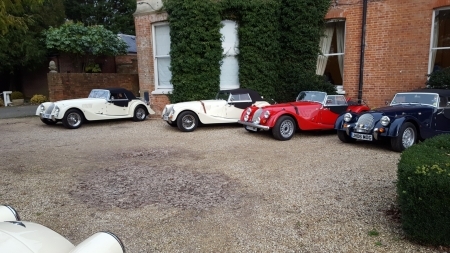 A shot of the Mogs that made it to the SwanMog event last weekend. In the foreground is DCH's car. I also was out & about today in Felxistowe and have added a few shots of that including a stunning MG & a massive container ship. Nice shot John, did you arrange for the Red White and Blue. That MG looks lovely too. Sadly no the colour coordination is down to luck. The dance theme was white so my car was not in tune with that. Where was the shot of the container taken from? I used live in Shotley Gate and grew up in the Ipswich area so it is very close to my heart.